And best of all, it’s all in one handy, at-a-glance reference! Be sure to bookmark this page because you are sure to want to reference it again and again. And once your ready for your first project, be sure to come back and check out my Free Knitting Patterns here. This Striped Knit Blanket Pattern or this Textured Knit Dishcloth Pattern are especially great for beginners. I usually suggest that my students start off with a medium weight, or worsted weight yarn, and a pair of US size 6 or 8 needles. They are a good size to learn on … not too small and not too big. You can find supplies online at shops such as Lion Brand Yarn or Knit Picks. And if you are too overwhelmed with all the choices, you can check out my Amazon Favorites page here to see what I use. Once you have your supplies ready to go, follow along with the infographic below. If you are a more visual learner, Craftsy has some amazing Online Knitting Classes. 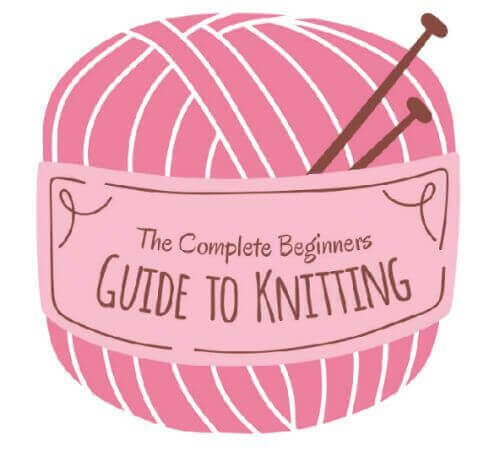 The Complete Beginners Guide to Knitting infographic printed with permission from Clippers Ireland. Love this. I am new to crocheting and have been thinking of picking up knitting. Just what I needed….. Thanks! What a great infographic! Thanks for sharing!